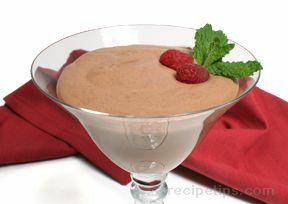 Creamy, chocolate dessert for that special Valentine or for someone special anytime of the year. 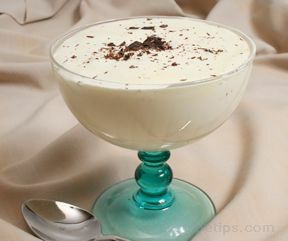 Don't forget about the kids; they will love this creamy smooth dessert also. Chocolate Covered Strawberries is another great recipe for Valentine's Day. Using individual serving cups or glasses. 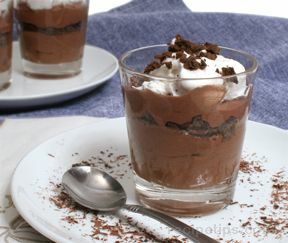 Fill 1/2 full with mousse. 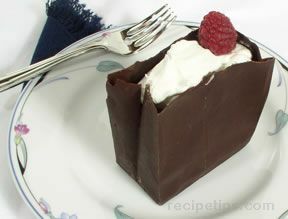 Put layer of crushed cookies then another layer of mousse. Top with whip cream, sprinkle with crushed cookies.